We are sure that any trader will find a promotion that suits his/her trading policy. This offer is proposed to help you trade without losing your own money. It’s time to switch to a real account and start experiencing the performances of the real trading platform. Extrasumoffers the all new clients special Promotion $150 Welcome (No Deposit) Bonus. Get a chance to trade in the Forex Market even deposit less. 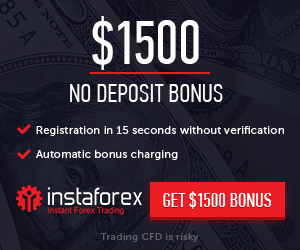 Promotion offer: $150 No Deposit Bonus Promotion.